On behalf of the Paulist Fathers and the family of Fr. George Fitzgerald, I welcome you all to this celebration of life and ministry of Fr. George. It is great to see so many people from the different parts of his life. We are particularly grateful for all your expressions of kindness and care you extended to George over these past six weeks, especially the parishioners of Newman Hall. They meant so much to George and are a great consolation to us. We are gathered here because of one man, a man known personally to many of us, known only by reputation to even more. A man loved by many, scorned by others. A man known for great controversy, and for great compassion… That man, of course, is Jesus of Nazareth. We have much for which to be thankful. For it is through our faith in Jesus Christ and his life, death and resurrection that in our loss and sorrow we can remain filled with hope. This Christian hope enables us to commend our Brother to the love and mercy of our God. We are grateful for the many ways in which we comfort one another in our sorrow as members of the Body of Christ. And today we are most grateful to God for those people like Fr. George who show us the face of Jesus—those people who love us, encourage us, and stand by us, no matter what. And along those lines, we need to be aware and be grateful for the mysterious ways God uses us to build the kingdom of God, even when we are unaware of it. For Fr. George, the journey of faith began in Jaffrey, New Hampshire in baptism, grew through his First communion and confirmation, and fully flowered with his ordination to the priesthood. The call to ministry and priesthood in particular is unique to each person. As Jesus called Peter, the fisherman, to become a fisher of men and women, so Jesus called George, the young Air Force navigator, in a special way. 1958, the year George entered the Paulist Fathers novitiate, was a great year for technological advances. Transcontinental jet service was inaugurated, and the US put its first satellite in space. People with George’s background would be called upon to do great things. God would not be left out! And I wonder if George responded to that call listening to one of the popular songs of that year? Come fly with me, let's fly, let's fly away! If you can use some exotic booze, there's a bar in far Bombay. Come fly with me, let's fly, let's fly away! Come fly with me, let's float down to Peru. In llama land, there's a one-man band and he'll toot his flute for you. Come fly with me, let's take off in the blue! However it happened, George answered the call to ministry and jumped on board. With the help of the Holy Spirit, the Dove, he earned his wings as a priest, and was on his way. And oh the places he traveled! Like St. Paul he was always on a journey, whether for work or play, George kept moving. He joined the Paulists to be a missionary to North America, not just New Hampshire, going to those places where faith and culture intersected, like downtown parishes, college campuses, and ski slopes. This special mission required lots of frequent flier miles to accomplish! As many of you know, one of our community’s mottos is that there is always a Paulist in the air at any given time. George helped guarantee this was the case. Everywhere he was assigned, like St. Paul, he formed communities of faith, fellowship, and service. His was a ministry of personal invitation. George had a gift of connecting with people. As one person remarked, in 5 minutes he would make a connection with a perfect strange, finding the commonality between them. This makes sense, as Fr. George who celebrated the Eucharist regularly, saw connections not just with God and the gathered congregation, but with everyone he encountered. Once I get you up there where the air is rarified, We'll just glide, starry-eyed. Once I get you up there I'll be holding you so near, You may hear angels cheer 'cause we're together…. What was the message? Quite simply put, it is God’s unbelievable mercy and love; God’s choice for us in Jesus Christ; and the call of Christ calls to build up His reign on earth. Fr. George challenged us to think beyond the borders of our community to embrace the lost, the poor, the marginalized, the migrant, and those hungering for Justice. He was motivating and empowering in his words, yet personal. He embodied that uniquely Paulist style of finding God in the here and now, in our life, in our culture. Now, while congregations were captivated by George’s rhetoric, Paulists in the rectory would nickname him “George of the Three Homilies”. Just when you thought he was coming in for a landing, he would take off again, and then a third time. He so enjoyed the experience of connecting with his people I guess he didn’t want it to end! As I mentioned, God used George’s gifts from the Air Force. Most of his ministry was spent helping young adults navigate the choppy and turbulent years of college, as well as the Paulist Seminary. His attentiveness to those students lasted far beyond graduation or ordination. Matter of fact, George was still keeping in touch with many of those Tuft Students he served over 50 years ago, one of whom made a special trip on Tuesday to come and thank George for everything he did for him. As for Paulist seminarians, while they put George to the test as they worked out their authority issues, George was always fair to each seminarian, and sought to find the priest in each of them, even when evidence was thin. In his ministry, he was always expansive and inclusive. He embraced the changes brought about by Vatican II, creating a new Paulist formation program, which is largely in place today. He was one of the first to incorporate women as part of the formation team. And when he came to Newman Hall, he did the same, bringing Mary Doyle and others onto the staff. A special gift George had was appreciating the complexity of the human experience. Having lost his father so young, and being raised by a step-dad who cared for him so deeply, he understood early on how difficult and complex life can be. Along those lines, I was thinking of the Gospel George selected for today. Yes, George believed strongly that God saves those who feed, clothe and house the poor, welcome the stranger, the migrant and the immigrant, and visit the incarcerated, whether they are religious or not. He was also keenly aware that as humans we like to assign labels to people without giving them a chance. He saw everyone he encountered as sheep or potential sheep. Back in the Bible times, sheep and goats were sometimes hard to distinguish… and George always left the final judgment to God. (With the special exception of politicians he disagreed with) … and even if George encountered someone in ministry who really was a Goat, I think George would defend them saying: “who doesn’t like feta cheese?” That’s God’s mercy and compassion at work in our lives. Therefore, this is an important moment to add this old timey Catholic reminder: we are not here to canonize George for sainthood. We know George wasn’t perfect. Part of the reason we are here is to assist him on the way to heaven with our prayers. He knew his ego would get the best of him sometimes and he needed God’s mercy and allowed God to put him in his place, through all of you, who would always serve him humble pie, to George’s great delight. And if in fact George made it in, I know he will return our prayers with interest added! So we give thanks to God, for George’s presence in our lives! His hopeful, exuberant, optimistic nature, his zeal for the Gospel, his ability to help others navigate a path to Jesus, are all signs of the Holy Spirit at work through Him. For those here who still don’t believe in God, at least believe in George! I can’t thank enough Alice and Tom Murphy, Paulist Frs. Ivan, Steve, and Paul, his long time friends, especially Dave Stone, and all who walked this last part of George’s priesthood. One final thought…We all know that George was a life long learner and educator. Many Paulists were concerned that George, so young at heart, would be afraid to approach his mortality. However with the wise counsel and support of his sister Alice and Fr. Ivan and his trust in the Lord, he made the ultimate decision to choose hospice care over extensive rehabilitation, which might not have been effective. He shared that he had learned from his brother Ed the peace that comes with death. In turn, as had always been the pattern of his life and ministry, George had the opportunity to teach one final student, Manny, who just graduated from Cal. Manny was with him at his bedside to the very end, and learned a precious lesson about life, death, faith, hope and love. This ultimate act of letting go and letting God was a grace not only for Manny but for all of us and it exemplified in a powerful way the sacrifice of Christ which he celebrated in the Eucharist all his priestly life. Weather-wise it's such a lovely day. You just say the words and we'll beat the birds Down to Acapulco Bay. It's perfect for a flying rendez-vous, they say. Come fly with me, let's fly, let's fly. Pack up, let's fly away!! Good evening. I’m Tom Hall, a friend of George Fitzgerald for nearly fifty years. In 1972, I was teaching junior high school math in Los Angeles. I had a heck of a time finding young Catholics my age (I was 22) in my home parish. Most everyone seemed to be a senior citizen OR married and raising a family. My pastor suggested that I attend mass at the Newman Center at UCLA. So, I did. And, I found hundreds of Catholics my age. I also found the Paulist Fathers. I’d never met priests like these guys. They did not hide behind a Roman Collar, and all were on a first name basis EVEN with the freshman students. I could ask these guys the dumbest question ever asked, and they would inevitably make me feel as if it were the most brilliant question they’d ever heard. And, they made me feel like it was the first time such a question was ever asked. I was hooked. I had decided, after a year, that I wanted to become a priest. I’d boiled down my options to the Maryknoll Fathers (‘cause I always had a wanderlust) and the Paulists. During Spring break, I decided to make a pilgrimage of sorts. I decided to drive up the coast from LA to visit Maryknoll and Paulist houses along the way. My first stop out of LA was Pismo Beach, about 200 miles down the coast from here. That first morning in Pismo Beach I located the only church in town. St. Paul the Apostle. Hmmm. Could this be a sign? As I exited the church, after mass, I noticed a pamphlet rack next to the exit. And, prominently displayed in the pamphlet rack was a book…a book titled “Communes”, written by Father George Fitzgerald, a Paulist Father. Communes were au courant among young guys my age in those years. So, I lifted the book and took it to the beach. I read it in a single sitting. I loved it. And, I wondered if I might ever meet the author, Father George Fitzgerald, a Paulist Father. Several days later, I made my way to Old St. Mary’s Cathedral in San Francisco and here to Newman Hall at Cal Berkeley. When I got here to this chapel…this sealed the deal. I know a lot of you people probably can’t stand the looks of this chapel. But, when I saw that corpus of Jesus Christ attached to that poured concrete wall, my mind recalled photos of those millions of concentration camp inmates during World War II. And, in an instant, I was drawn into the mystery of Christ’s crucifixion, death, and resurrection as never before. The following October, I was a Paulist novice in Oak Ridge, New Jersey. During the novitiate year, we received quite a few guests. And, one guy showed up looking like an aging college gymnast. He was a mountain of energy. His name: Father George Fitzgerald! I could not control my enthusiasm. “Are you THE Father George Fitzgerald…the one who wrote that book on communes?! ?” That he was. George was born the same year as my brother. My brother died as a young man. If ever I could confect a brother, I would want a brother like George. He was everything I would want my brother to be. He was an Ivy Leaguer. A gymnast at Dartmouth. He was a military officer. (During my priesthood, I have served 35 years with the US Military). George was an author, a scholar, a lecturer. And, he had that patrician New Hampshire accent. I loved the guy. During my years of studies at Catholic University, I was privileged to have studied preaching with George. He taught two homiletic (preaching) courses at the university. And, I took them both. The first year, George team-taught with the head of the Theater Department at the university. George had us students jumping and stretching all over the sanctuary. He taught us to feel comfortable with our bodies as an expression of the Spirit within. He taught us that people would know that Spirit as much by the words we spoke as by the way we expressed the Spirit in our movements. George wrote a book on Preaching. It’s the only one of his three books that I did not read. No need. I think I learned the best of what George had to teach. During his last session with us preaching students, George gave some memorable advice. He said, “Don’t worry about answering peoples' questions in your preaching. It’s actually better it you leave your audience with questions. Even with questions that have no answers. Because when people have questions they begin to wonder. And, the more they wonder, the more they ponder. And, what they ponder is Mystery. And, only when they ponder Mystery, can they encounter God. “But I REALLY LOVE you, George,” I protested. In that instant, I realized that George and I had found ourselves with the unanswerable question. And, I will always wonder. And, my wonder will lead me to ponder. I will ponder a mystery. And, in that mystery, I WILL encounter God. Well done, George. Mission accomplished. It is, indeed an Honor, and a very humbling task to be asked by George to address all of you! —his family, his Paulist Brothers, parishioners and dear friends of George. Many of you are personal friends of mine and if some of us don’t know each other we certainly should! As we have the common bond of friendship and love for this remarkable man, and we must now face the rest of our days with this profound void-- a world without George! A loss we must all endure!! Here are some entertaining tidbits that honor our dear friend, George Fitzgerald. of Newman-- with 4 boys”, was soon introduced and that was the beginning of a long and deep friendship. Many an evening was spent feasting at the dining room table on 1447 Summit Road! One of George’s favorite stories is on one such occasion he brought a little red book listing all Paulist Priests-living, dead and “ex-Paulists”, and we counted about 85 different Paulists who over the years had come to our house for dinner--at least once (many came MULTIPLE times!)!! (remember these invites started in 1940!). George then followed up by questioning “but which Paulist was your favorite??!?”. My mother, (never known for her subtlety) --in this case would not tell... OKAY George!... you can now know -->YOU, George, YOU were her favorite!! (all due respect to the Paulists present here today). As already mentioned, he married me to Francine, baptized my kids… –the usual!! As I reflect, on the many gifts George has given me—it is a challenge, as there are many, but one stands out as, and is quite relevant to me today, and to many of you—as it is YOU! The you I’m referring to, are the many friendships that I have developed over the years through and because of the extrovert—George! Many of you are here today or may read this at some later point and I am profoundly grateful for the many friendships that were initiated by and thru George. And, indeed, many of my friends, who in turn, met George thru me—their lives have been equally enriched. We will all need each other as we soldier on! I would be remiss if I did not relate the title bestowed on George by yours truly, and that, of course, is His Holiness George the First! Where did that come from? Both George and I enjoyed making fun of the things we love—I recommend it –it keeps us all healthy! Anyway, The Church like everyone’s family needs a bit of critique and one anachronism is referring to ANYONE as “your holiness”. (I am going to get in trouble if I continue down this path... and besides Pope Francis may well be truly deserving of such accolades ...). In any case, the austere title stuck and family and my friends routinely refer to George as His (your) Holiness. It also did reflect a knowing respect for what he had given me—and all of us --a dedicated priest, confidant and dear friend. One example of the fun had by his acquisition of said title is on his retirement—George served-- the poor and downtrodden Catholic community in Vail Colorado--and he received correspondence from yours truly addressed to His Holiness George I.... He then, subsequently received a hard time from the small post office in Minturn, Co. where he got his mail.... This, of course, encouraged more similar behavior on my part(! )—elaborating further addresses: -->His Holiness George I, gloriously reigning in the year of our Lord...Blah, Blah-->and then I added a final stroke of merriment →” retired”. And as we all know, it certainly must have planted the seed with Pope Benedict... when he followed suit in 2013 and retired himself! (the singular great accomplishment of his pontificate -- appreciated particularly by George and myself!). With sadness, we announce that Paulist Fr. George Fitzgerald, has entered eternal life. 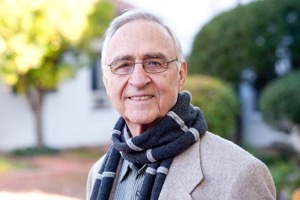 He passed away Wednesday morning, June 20, in the rectory of Newman Hall / Holy Spirit Parish in Berkeley, CA, at the age of 86. He had been a member of the Paulist community for nearly 60 years and a priest for 53 years. Fr. George was born on May 15, 1932, a son of Edward Fitzgerald and Mary Blanchette Fitzgerald-Wilder. After his father passed away in 1937, he also was raised by his stepfather, Tracy Preston Wilder. He grew up in Jaffrey, NH, and earned his bachelors degree from Dartmouth College. After college, he entered flight school and then served for three years in the military. He would later earn masters degrees from St. Paul’s College in Washington, D.C., and Tufts University. He entered the Paulist novitiate in the fall of 1958. He made his first promises to the community on Sept. 8, 1959, and his final promises on Sept. 8, 1962. He was ordained a priest by Cardinal Francis Spellman on May 8, 1965, at the Church of St. Paul the Apostle in New York City. 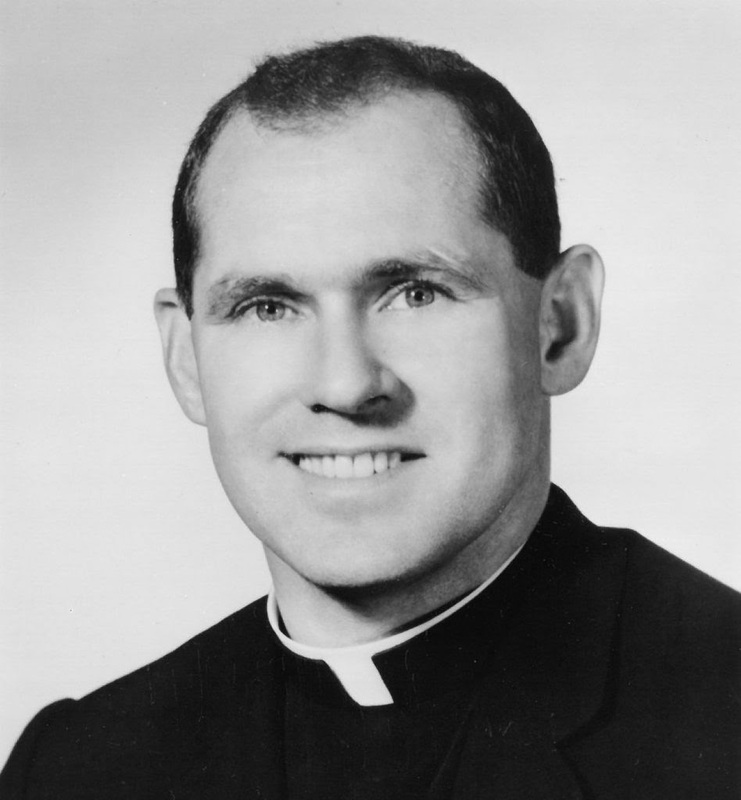 From 1965 to 1970, he served as a Catholic campus minister in Boston, notably at Tufts University. That was followed by seven years as director of formation at our seminary, St. Paul’s College in Washington, D.C. He was an associate editor at from 1978 to 1980, during which time he also served as the Paulist Fathers’ assistant director of novices. From 1980 to 1986, Fr. George served as pastor of Newman Hall / Holy Spirit Parish in Berkeley. He then became pastor of Old St. Mary’s Cathedral in San Francisco, serving there through 1991. During his time in San Francisco, he was a member of the Mayor’s Commission for the Homeless. In 1992, Fr. George became pastor of St. Thomas Aquinas Catholic Center in Boulder, CO. He served there until he entered senior ministry in 1998. Fr. George was the author of three books: “Communes: Their Goals, Hopes, Promises” (1971), “A Practical Guide to Preaching” (1980) and “Handbook of the Mass” (1982). For 10 years, he also wrote the weekly column “Ask Me” in The Catholic Voice. He also was an avid skier. After entering senior ministry, he assisted at three churches in Vail, CO, and Minturn, CO, as a “ski-the-mountain chaplain.” During his years of senior ministry, he also served in Santa Barbara, San Francisco, Boston and Berkeley. While at San Francisco, he would regularly help out at Christ the King (Pleasant Hill). In addition to his parents, Fr. George was preceded in death by his brother, Edward. He his survived by his sister, Alice, and brother-in-law, Thomas Murphy, of Delray Beach, FL; and many nieces and nephews. Fr. George’s wake was held at 7 p.m. on Friday, June 22, at Newman Hall / Holy Spirit Parish in Berkeley, CA. His funeral Mass also was held here at 11 a.m. on Saturday, June 23. Fr. George will be cremated. His ashes will be interred at a later date in the Paulist plot at Holy Cross Cemetery in Colma, CA. Several weeks ago, Deacon Brian gave a sermon at the 10 a.m. Mass, during which he spoke of "the women who stand at the consecration." While his sermon was awesome, he unfortunately misunderstood why we stand. We, the men and women who stand at the consecration stand because Vatican II declared, "In the liturgy the whole public worship is performed by the Mystical Body of Jesus Christ" (read entire church) "that is, by the Head and his members. From this it follows that every liturgical celebration, because it is an action of Christ the Priest and his body which is the church, is a sacred action surpassing all others..." (SC #7) The general posture of prayer to God and the posture to show respect traditionally has been to stand, just as we stand when someone of dignity enters a room. In the Oakland diocese, some parish congregations kneel during the Eucharistic prayer, other congregations stand. We, certain members of Newman-Holy Spirit parish and the signers below -- both men and women -- stand during the Eucharistic prayer as a sign of respect and to acknowledge our full participation in the Liturgy of the Eucharist. We believe that our parish community is stronger when we acknowledge the "both/and" rather than the "either/or." Whether we stand, kneel or sit, we are one Newman-Holy Spirit community, all of us broken, all of us called to love one another. On Tuesday, April 17th, a group of us Newman folks went to a screening of a documentary movie, The Dating Project, that was co-produced by the Paulist. I wasn’t expecting much and was pleasantly surprised that the movie was well-crafted providing some humorous and great insights on dating. I highly recommend seeing it whether you’re in that dating phase of life or you want to advise others. The movie is empowering for those wanting to take control of their life and date. One of the fundamental philosophical questions we need to be asking ourselves is, how should I live my life? And related to that is the question, what kinds of relationships help me to become the kind of person I want to be? A Boston College philosophy professor, Kerry Cronin, noticed that many college students were clueless about dating and many were going through college without ever dating. They were therefore not getting the experience and wisdom from such personal relationships to become the excellent person they want to be. Hiding behind social media, many such relationships formed were ambiguous and superficial. The other challenge of today is the hook-up culture in college where casual sexual encounters, thought to be fun and safe from emotional let downs, become false, damaging, and keep folks from developing healthy life-giving relationships. Folks were either avoiding dating or replacing dating with hook-up. The movie intermixes interviews with Prof. Cronin with following 5 singles - 2 college 1st years, a 20 year old, a 30 year old, and a 40 year old. Dating is harder outside of college because the pool of folks shrink and finding time gets harder, so Cronin encourages students to practice and fine tune the skills of mature dating in college. She even has an extra credit assignment where the student initiates and goes on a date. She divides dating into three levels where level 1 is an exploratory phase to start to know the person beyond the superficial. It’s about building and exercising skills for relating to others in a mature and respectful way, curiously learning about others and being appropriately self-revelatory. She has a series of rules for level 1 dating which you can find on a handout in the lobby. These rather old fashioned rules (e.g., ask in person, no longer than 90 minutes, spend less than $10, limited physical interaction) help to keep from rushing into a relationship and from hurting oneself through excessive expectations. Given asking someone on a date and dealing with rejection take emotional courage, her level 1 rules lower the expectations, drama, and heartbreak. And it also opens the door to see if there is mutual interest. Level two dating enters the exclusive phase to learn more about the person, oneself, and one’s compatibility. Level three dating deepens the exploration to discern if the couple should marry. My take-away from the movie for singles is to seize the moment and date. If you want to date Jesus at the same time to explore religious life, that’s ok also.